Background: Human dignity, as a fundamental human right and a moral obligation, has been emphasized in different fields of nursing. The aim of the present integrative review was to explore the nature of nurses' human dignity in educational and clinical settings. Results: From this review, four key themes emerged. The themes consisted of concept of human dignity (it was as an expression of the professional value in nursing settings), factors affecting human dignity (including respect, communication, autonomy and power, competency and ability, structure of the workplace, and value-based education), dimensions of human dignity (including intrinsic and professional domains), and consequences of human dignity [positive (individual and professional growth and caring professional behavior) and negative (loss of motivation, intention to leave the profession, and non-professional image of nursing in the minds of people)]. Conclusions: The small number of studies found for the review indicates the need for further research in the field of nurses' dignity. Recognizing nurses' dignity can help to improve the nursing practice and provide them a dignified workplace. The concept of human dignity, as one of the most important professional values, has become a part of ethical issues in the field of education and nursing practice. Due to the human nature of the nursing profession, dignity is of interest to all countries of the world. Human dignity is a vague, complex, multidimensional,,, and fundamental concept in the nursing profession. It means having respect for human individuality and treating each individual as a unique human being. Respect for human dignity is a basic necessity not only for patients, but also for all human beings. It is also an important aspect of nursing care. Human dignity, in moral codes, is a duty and a human right, and in the nurses' workplace, a moral obligation., In fact, human dignity is understanding respect and competence, and allows the individual to feel valued, and trust, grow, develop, and value others. Haddock stated, in his report, that human dignity is recognized with aspects such as respect, self-confidence, self-control and environment control, privacy, and identity which increase through relationships. In learning environments, respect and courtesy are the requirements for teaching and learning. Professors play a very important role in creating a respectful learning environment. Creating an educational environment based on protecting dignity and mutual respect is an important factor in effective learning. The learning process is a respectful interaction between professors and students. All students are required to maintain dignity and respect. The behavior of an individual whose dignity has been preserved is polite, acceptable, and without complaint. Students have referred to insults as uncomfortable experiences in interaction with learning environments, and they believe that they should be taught in a respectful environment based on mutual understanding. The maintenance of dignity results in the formation of a positive self-image, self-esteem, behavior and environment control, receiving information, decision-making, and the individual feeling comfortable in his/her physical and mental condition., The threatening of dignity causes loss of control and ignorance. Disrespectful behavior is one of the most important issues in nursing. It is an issue of great urgency and can cause serious degradation in the teaching–learning process, create stressful relationships, cause conflict between the teacher and the student, increase anxiety in students, create unsafe working conditions in clinical environments, result in poor care of patients, and increase medical expenses. Today, studies have been conducted in the context of respect for human dignity and its dimensions in patients and the elderly,, as well as dignity in the nursing profession. The results of these studies suggested that environmental factors, structure, and organizational communication have an effective role in promoting or undermining dignity.,, Therefore, the international focus on ethics in education and health environments shows the development of moral concerns. It also shows that the purpose of teaching is to guide students to develop an ethical framework for ethical decision-making in clinical environments and provide professional caring behavior in conjunction with respect. Therefore, understanding the nature of human dignity in the fields of nursing education and clinical practice and providing relevant knowledge on a broad international level are essential. The recognition of nurses' and students' dignity in different countries can help nurses to not only achieve understanding and a clear description of the concept of human dignity, but also to attempt to enhance the dignity of individuals, clients, and the community. Therefore, the aim of this study was reviewing and integration of scientific evidence related to the nature of human dignity of nurses in educational and clinical environments in order to identify the knowledge gaps and provide recommendations to develop a body of nursing knowledge in the field of human dignity for future researches. Integrated review, as the largest and the only type of review method, allows the simultaneous use of findings from experimental and non-experimental research in order to understand a desired phenomenon. Moreover, it is concerned with the integration of a wide range of purposes, such as the definition of concepts, an overview of the theories and evidence, and the analysis of the methodological implications of a specific topic. Therefore, the integrated review was selected in this study as a framework to examine the text of all articles and to provide a comprehensive understanding of the nature of the subject under study. This study searched for the answer of an important question regarding the nature of human dignity, nursing education, and practice, and its description in nursing texts. 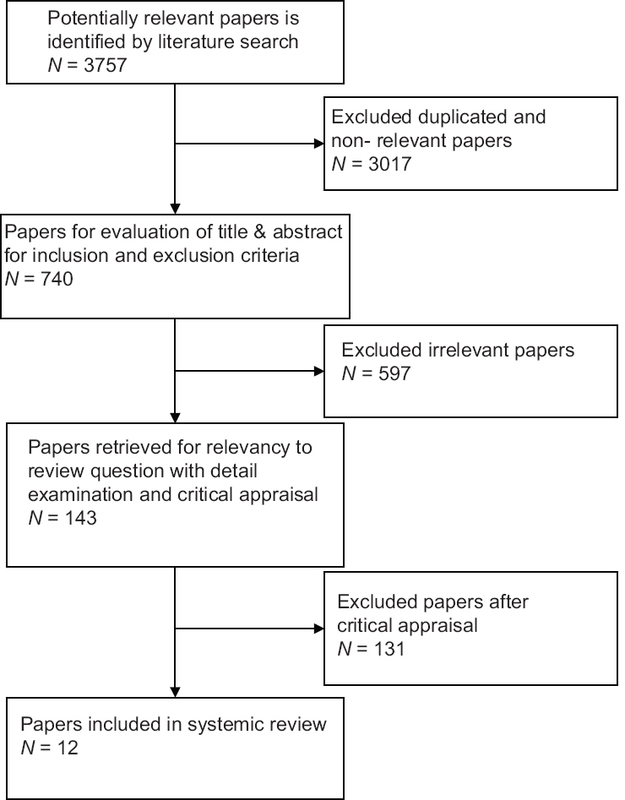 In this systematic review, an extensive search was conducted to find articles using the Persian and English databases of Cumulative Index of Nursing and Allied Health Literature (CINAHL), SID, ProQuest, PubMed, Google Scholar, and Irandoc. The databases were searched using separate keywords, such as human dignity, nursing, nursing student, clinical nurse, and education, and their combinations using the appropriate operators of OR/AND. Inclusion criteria included all original English and Persian articles focused on human dignity, educators, clinical nurses, and nursing students, published during the years 2000–2013, with qualitative and quantitative approaches, theoretical articles and reviews, and having full access to these articles. Exclusion criteria included anonymous articles, book reviews, suggestions, letter to the editor, historical articles, unscientific articles, theses, and articles written in languages other than Persian and English, or unavailability of the full text of the article. The article selection process was performed in several stages based on the flowchart given in [Figure 1] and retrieved. Then, 12 articles were analyzed based on the study criteria. Quality assessment of the articles was based on the main objective criteria, the study question, and the relevance of articles, i.e. whether the article explains human dignity in nurses (teachers, clinical nurses, and nursing students) or not. Other criteria included the use of texts and results from articles related to the issue of human dignity of nurses. After reading, the entire article was evaluated. Finally, a checklist was designed based on the type and design of the study, studied population, data gathering tool, data analysis, and ethical considerations. Articles were evaluated using this checklist. In order to extract and synthesize data, the articles were accurately read by the first author, and the main points of the articles were summarized and extracted in regard to the purpose of the study. Code sheets were used to record information about each article. Then, narrative synthesis was performed on data. Subsequently, narrative description and organized evidence were provided with interpretation. The data presented in this article were integrated through narrative synthesis and based on the data extraction of the browsers. Finally, the findings were organized and reported based on the founded themes. In order to enhance the validity of the study, first, the proceedings were separately studied by researchers; then, three researchers confirmed the results of the analysis. In the event of a problem or disagreement on an issue, they would discuss and review the issue again until reaching an agreement. General characteristics of the reviewed nursing literature, based on the nature of human dignity of nurses in clinical education and care are presented in [Table 1]. Ethical approval was obtained from the ethics committee of Baqiyatallah University of Medical Sciences, Tehran, Iran. Based on the review of literature, human dignity is a purely intellectual, abstract, vague, culture-related, and bilateral concept which lacks a clear definition and is difficult to measure with standard tools and clinical evaluation.,, It is a human right and the basis for health in clinical environments, and this right should be recognized. It is also synonymous to the growth of the workforce, improvement of the health environment, moral obligation,, being a listener, showing respect for others, and confidence. Furthermore, from the viewpoint of the theory of “human development,” it is also defined as “the unconditional acceptance of differences, and respecting and emphasizing the intrinsic human value along with the human potential, regardless of the human race.” From the viewpoint of nurses, dignity means professionalism, prosperity, and personal and professional success,,,, equality of all human beings, and the embodiment of humanity with values such as respect, honesty, morality, humility, knowledge, consciousness, social justice, and kindness.,, Condon and Hegge stated that dignity is an actual link between the presence of others, compassion, and sympathy. By quoting the Parse theory, they state that in the educational environments for nurses, providing common conscious opportunities for open discussions and focusing on methods to be with others, especially in places in which respect and dignity are deeply rooted in everyday communication, result in the understanding of human dignity. Students have different understandings of the concept of human dignity. The majority defined it as “the uniqueness of human beings.” Nevertheless, others have defined it through concepts such as “possess rights” (such as having the right for privacy, independence, and self-determining), “humanity” (people regardless of their intrinsic characteristics or behavior), “difference” (human beings differ in terms of physical, mental, and emotional characteristics, and values and culture), “equality” (lack of superiority to another), “having values,” “having needs,” and “sacredness” (meaning that man was also mentioned as a divine creation). The concept of human dignity in educational environments means considering the learning needs, strengths, weaknesses, and educational goals of each student, respectful behavior by all students, professors, and staff, and considering cultural realities and differences without prejudice. One of the important points found in the literature review was that the concept of “human dignity” and “care” are discussed together. Fahrenwald et al. stated that the combination of professional values with care resulted in valuable nursing care services. They also quoted from the American Association of Colleges of Nursing (1998) that care was defined as “combining nurses' empathy in association with the patient and the ability to convey emotional qualities with kindness, compassion, emotion, and appropriate caregiving.” Therefore, the essence of care is respecting human dignity. In addition, nurses are required to provide respectful, pleasant, and unprejudiced care for their patients. In a review of studies, two separate aspects of human dignity were identified, including intrinsic human dignity and professional (social) dignity. Intrinsic human dignity is an aspect of human dignity that all men have due to their humanity and equality. The uniqueness of all people is the basis for respecting and valuing all individuals. Moreover, it is beyond the professional nursing roles. Professional (social) dignity is a dignity that can be earned through social communications, or it can be lost, threatened, or promoted. Respect: Respect, as an important dimension ,, and a moral principle of human dignity from the viewpoint of Parse human becoming theory, is combined with the nursing profession and is a motivation for nurses. Human dignity is associated with the inherent feature of individuals, and the prerequisite for respecting the dignity of others is respecting one's own dignity.,,,, Respect in educational environments constitutes knowledge, rights, choice, development, growth, and attention to individual learning styles of students. Students learn respect for human dignity by observing patterns of communication among healthcare providers and present it by providing interventions such as patient safety, individual privacy, sensitivity, considering racial and cultural differences, and professional responses. The results of the studies showed that disrespect was expressed as an important aspect that threatened the human dignity of nurses. Nurses had experienced disrespect in their professional relationships with physicians, managers, patients, and patients' families in the form of a variety of behaviors, such as apparent and implicit humiliation, physical attacks, and damages to privacy. Kalb and O'Conner-Von stated that nursing training should lead the students toward a complete understanding of respect for human dignity in the clinical environment, so that they can interact with others based on behaviors and practices consistent with human dignity. Human dignity is a value that is explicitly presented. Nevertheless, most students are unaware of the range of unique perspective of humans due to having ambiguities in the provision of complex services and assumptions, and stereotyping of others. Value-based integrated training has an important role in practical, conceptual, and ethical learning of professional values such as human dignity and providing appropriate clinical care. Studies have mentioned the pivotal role of trainers in the development of learning process of valuable concepts, as students learn how to respect other people despite their differences in beliefs and attitudes., Studies showed that nursing will only be recognized as an art when nurses show their experiences of teaching and learning in the clinics based on the professional standards and express respect for dignity of each individual in their actions and behaviors. The present review aimed to investigate the nature of human dignity of nurses in the clinical and educational environments. The results showed that human dignity, according to the view of nurses and students, was an expression of professional values such as respect, privacy, and independence. In addition, in educational and clinical environments, it was recognized as understanding and valuing nurses, and consideration of the professional needs of nurses and their success. Comparison of the texts revealed that the concept of dignity, from the perspective of both groups of nurses and students, was observed as growth and prosperity. On the other hand, the results showed that most studies were conducted on the professional dignity of nurses, while respecting the inherent dignity of the individual was not evaluated. As Gallagher stated, respecting the dignity of the individual was less considered. Moreover, Lawless and Moss stated that since patients are the focus of clinical environments, the human dignity of patients is a priority. Even in many of the studies on the quality of the work environment of nurses, outcomes, quality of care, and patient satisfaction were considered. Therefore, this resulted in disregarding of human dignity of the nurses in clinical environments. Studies showed that human dignity has several dimensions. However, by reviewing the studies, only two dimensions of intrinsic dignity and professional dignity of the nurses were obtained. Nurses and students mentioned several underlying factors and individual and organizational interventions effective in the promotion or threatening of dignity. These results were consistent with the studies of Griffin-Heslin, Mains, and the Royal College of Nursing. Respect was an important factor in all the studies, as self-respect, respect for others, and respect for the privacy of individuals were associated with dignity. However, understanding people, their needs, and methods of learning were other important aspects of the reviewed studies. The results showed that nurses and students perceived varying degrees of damage to dignity, such as being disregarded, lack of understanding for the value of their work and recognition of their achievements, and damage to their privacy, and insults. These results were consistent with the taxonomy damage to dignity of Mann. However, due to the interactive nature of the nursing profession with patients and their families as well as the organizational structure prevailing in the workplace, nurses often have a poor understanding of their dignity; thus, damage to dignity has influenced a wide range of personal and professional aspects of their lives. Lawless and Moss argued that human dignity of the nurses was mostly considered with values of altruism and self-sacrifice. That is why the issue of human dignity of nurses was less considered. Most studies in the nursing field have been conducted on the negative aspects of the profession such as working pressure, restrictions on independence, and lack of organizational relationships, and the nurses dignity has not been considered as a human right. The results of the review study showed that the interpretation of human dignity was understandable based on the understanding of the meaning of this concept for individuals. Although understanding this concept is associated with culture, professional, social, and underlying values, respecting the inherent dignity and uniqueness of human beings was the common feature of the definition of human dignity in all cultures and the reviewed texts. This was in accordance with the definitions provided by the America Nurses Association (ANA) and the American Association of Colleges of Nursing (AACN). A review of the results showed that all nurses in the studied countries had a common understanding of the concept of dignity and its threatening and debilitating factors. Despite the importance of respect for nurses, most nurses' dignity is intertwined with nursing practices as a value in order to provide better care for the patients. The lack of studies in this area was itself an evidence. On the other hand, most studies have focused on the professional dignity of nurses and factors affecting it. In order to understand cultural differences, more studies on human dignity of the nurses are essential as an explicit value. The findings of this study showed that increasing attention to ethics in learning environments, global moral confusion, combining ethical values and professional subjects in the curriculum, and designing training programs based on ethics is an inevitable necessity for training managers. Since there are a limited number of studies on the human dignity of nurses, this study could help researchers in conducting quantitative and qualitative studies with phenomenological, grounded theory, and combined study approaches to determine the concept of personal and professional dignity, explain nurses' and students' experiences in this field, identify the associated factors, and promote a body of knowledge in this area. The results also showed that defects in the dignity of nurses have a profound impact on the individual and professional lives of nurses. Therefore, these findings are a guide for managers and nursing policy makers to provide healthy respectful workplaces for nurses. Such attention is not only required for the dignity of health systems, organization productivity, patient satisfaction, and provision of quality care, but is also a requirement for being a human, having the right of inherent dignity, and having a dignified life. The recognition of human dignity in nursing will help nurses in working together with common goals. It allows nurses to understand the value and importance of nursing care and realize their professional role. When this value is recognized, many of the factors threatening human dignity will be eliminated. There is still no clear definition of the concept of human dignity on the basis of the experiences of students and nurses. Many individual and organizational factors, imagination of the society and the professional care team are influential in the development or undermining of human dignity of the nurses. Therefore, extensive studies are necessary in this regard. This article was part of a major study and was extracted from a PhD thesis in nursing. Our sincere appreciation goes to the School of Nursing, and the Medicine and Religion Research Center of the Baqiyatallah University of Medical Sciences, Iran. Project number (2/12/2013) No397. Condon BB, Hegge M. Human dignity: A cornerstone of doctoral education in nursing. Nurs Sci Q 2011;24:209-14. Shahriari M, Mohammadi E, Abbaszadeh A, Bahrami M. Nursing ethical values and definitions: A literature review. Iran J Nurs Midwifery Res 2013;18:1-8. Matiti M, Cotrel-Gibbons E, Teasdale K. Promoting patient dignity in healthcare settings. Nurs Stand 2007;21:46-52; quiz 54. Ebrahimi H, Torabizadeh C, Mohammadi E, Valizadeh S. Patients' perception of dignity in Iranian healthcare settings: A qualitative content analysis. J Med Ethics 2012;38:723-8. Haddock J. Towards further clarification of the concept 'dignity'. J Adv Nurs 1996;24:924-31. Berglund B, Anne-Cathrine M, Randers I. Dignity not fully upheld when seeking health care: Experiences expressed by individuals suffering from Ehlers-Danlos syndrome. Disabil Rehabil 2010;32:1-7. Shaw HK, Degazon C. Integrating the core professional values of nursing: A profession, not just a career. J Cult Divers 2008;15:44-50. Jacobs BB. Respect for human dignity: A central phenomenon to philosophically unite nursing theory and practice through consilience of knowledge. ANS Adv Nurs Sci 2001;24:17-35. Lam KK. Dignity, respect for dignity, and dignity conserving in palliative care. HKSPM Newsletter 2007;3:30-5. Hill SR, Tollerud TR. Restoring dignity in at-risk students. Sch Couns 1996;44:122-32. Feldmann LJ. Classroom civility is another of our instructor responsibilities. College Teaching 2001;49:137-40. Salmani N, Amirian H. Comparison between nursing students and trainers viewpoints about clinical education environment in Islamic Azad University of Yazd, in the year 2006. Strides Dev Med Educ 2006;3:11-8. Campbell L. Effects of Implementing the Discipline with Dignity Classroom Management Model on the Number of Discipline Referrals in K-2 Classrooms in a Mid-Southern State: Union University; 2006. Jacelon CS, Connelly TW, Brown R, Proulx K, Vo T. A concept analysis of dignity for older adults. J Adv Nurs 2004;48:76-83. Vaismoradi M, Parsa-Yekta Z. Iranian nursing students' comprehension and experiences regarding evaluation process: A thematic analysis study. Scand J Caring Sci 2011;25:151-9. Griffin-Heslin VL. An analysis of the concept dignity. Accid Emerg Nurs 2005;13:251-7. Mains ED. Concept clarification in professional practice-dignity. J Adv Nurs 1994;19:947-53. Clark J. Defining the concept of dignity and developing a model to promote its use in practice. Nurs Times 2010;106:16-9. Kolanko KM, Clark C, Heinrich KT, Olive D, Serembus JF, Sifford KS. Academic dishonesty, bullying, incivility, and violence: Difficult challenges facing nurse educators. Nurs Educ Perspect 2006;27:34-43. Clark C. Student perspectives on faculty incivility in nursing education: An application of the concept of rankism. Nurs Outlook 2008;56:4-8. Caza BB, Cortina LM. From insult to injury: Explaining the impact of incivility. Basic Appl Soc Psych 2007;29:335-50. Clark CM, Olender L, Cardoni C, Kenski D. Fostering civility in nursing education and practice: Nurse leader perspectives. J Nurs Adm 2011;41:324-30. Baillie L. Patient dignity in an acute hospital setting: A case study. Int J Nurs Stud 2009;46:23- 37. Stievano A, Marinis MG, Russo MT, Rocco G, Alvaro R. Professional dignity in nursing in clinical and community workplaces. Nurs Ethics 2012;19:341-56. Baillie L, Ford P, Gallagher A, Wainwright P. Nurses' views on dignity in care. Nurs Older People 2009;21:22-9. Fahrenwald NL, Bassett SD, Tschetter L, Carson PP, White L, Winterboer VJ. Teaching core nursing values. J Prof Nurs 2005;21:46-51. Kalb KA, O'Conner-Von S. Ethics education in advanced practice nursing: Respect for human dignity. Nurs Educ Perspect 2007;28:196-202. Khademi M, Mohammadi E, Vanaki Z. Nurses' experiences of violation of their dignity. Nurs Ethics 2012;19:328-40. Lawless J, Moss C. Exploring the value of dignity in the work-life of nurses. Contemp Nurse 2007;24:225-36. Akhtar-Danesh N, Baumann A, Kolotylo C, Lawlor Y, Tompkins C, Lee R. Perceptions of professionalism among nursing faculty and nursing students. West J Nurs Res 2013;35:248-71. Yalden BJ, McCormack B. Constructions of dignity: A pre-requisite for flourishing in the workplace? Int J Older People Nurs 2010;5:137-47. Hanifi N, Parvizi S, Jolaee S. The role of clinical instrutor in clinical trainning motivation of nursing students; A qualitative study. Iranian J Nurs Res 2012;7:23-33. American Association of Colleges of Nursing. The Essentials of Baccalaureate Education for Professional Nursing Practice. Washington, DC: ERIC Clearinghous; 1998. p. 1-55. Gallagher A. Dignity and respect for dignity-two key health professional values: Implications for nursing practice. Nurs Ethics 2004;11:587-99. Jacobson N. Dignity and health: A review. Soc Sci Med 2007;64:292-302. Baillie L, Gallagher A, Wainwright P. Defending Dignity: Challenges and Opportunities for Nursing. Published by Royal College of Nursing, London 2008. p. 1-62. Mann J. Dignity and health: The UDHR's revolutionary first article. Health Hum Rights 1998;3:30-8. American Nursing Association. Standards of Clinical Nursing Practice. 2nd ed. Washington DC: American Nurses Pub. ; 1998. p. 1-185.